Turn Souptacular’s Lentil Lovers soup into a creamy rich vegan butternut squash soup! 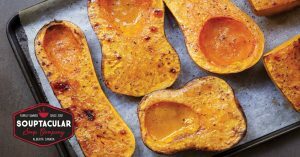 In addition, cooking butternut squash is easier than you might think, especially if you are adding it to your weekly pot of soup. Butternut squash soup is rich and creamy without being very fatty. When it is blended, it makes a flavourful soup that is easy to digest, and appealing to all family members, including children, vegetarians, and vegans. It really is a Souptacular soup you should try! Once the butternut and carrot is perfectly roasted, add into a pot and sauté onions, garlic and spices together. 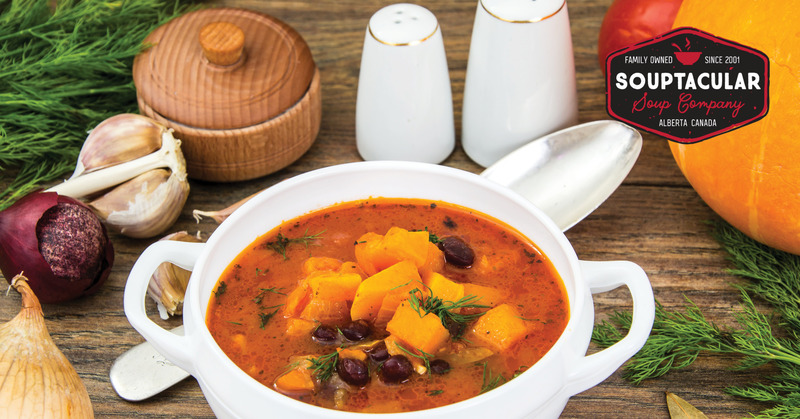 Rinse your Souptacular legume mixture and add it into your pot with your squash, carrots and onions and spices. Then add your vegetable broth and water and lightly boil for 2-21/2 hours or add into and instant pot and click Soup/Broth button. 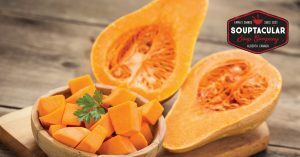 Tip: You can chop your butternut squash before roasting it, as our instructions detail below, or you can simply cut in half and roast until the vegetable is tender. When it is cooked, you can separate the husk from the flesh with a knife or spoon, and then add it to your soup. I love using an immersion blender to create a creamy smooth texture to my base. Alternatively, you can also use your kitchen aid with whisk attachment, or Vitamix blender. Add in your can of coconut cream for a thick and rich taste and texture but coconut milk will also work. Once the squash and carrots are done cooking, add them into the onion and garlic mixture. Rinse your Souptacular lentil lovers legume mixture and add into the pot. Once cooked and the lentils and split pea’s have started to disintegrated (breakdown) use your immersion blender or hand blender to purée the soup and vegetables into a smooth creamy texture. Add in your can of coconut cream stir and serve. I always think of Easter as a wonderful time to try something different with squash and root vegetables. They are such a healthy add in! 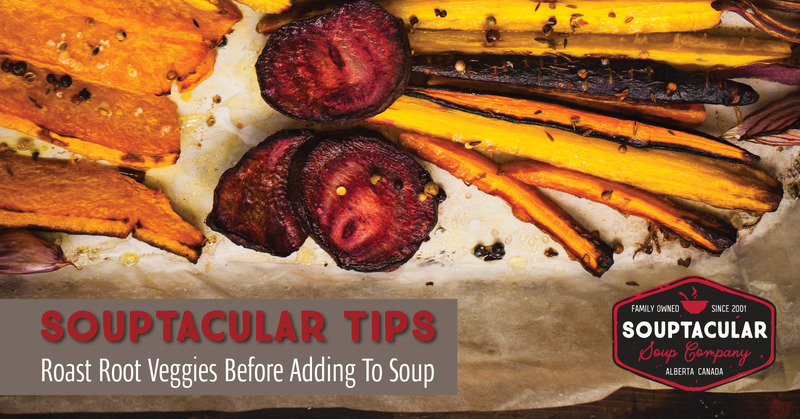 Adding squash or turnips to soups is easy to do! With this recipe, you can also garnished your vegan butternut squash lentil soup with chives or some fresh herbs such as thyme or sage, to add a little bit of earthiness to the soup. You are sure to impress your Easter dinner guests, with very little effort. 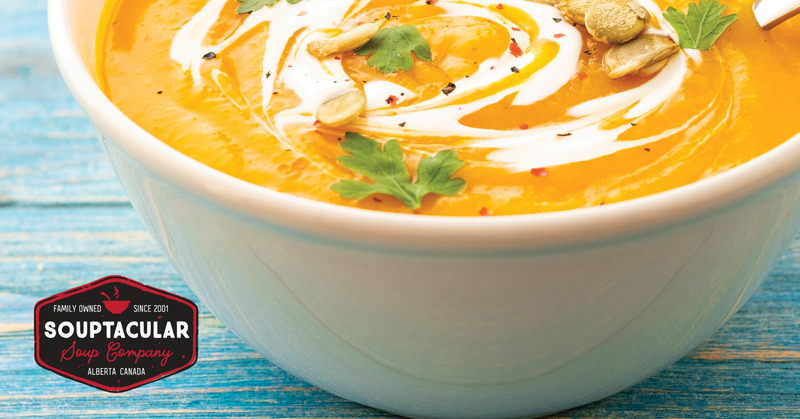 Enjoy a delightful vegan butternut soup with Souptacular this week!